The four-star camping Baia Verde is a recent family-run tourist business, born about ten years ago from the idea of creating a green space surrounded by nature, not forgetting the comfort that each of us is looking for on holiday. 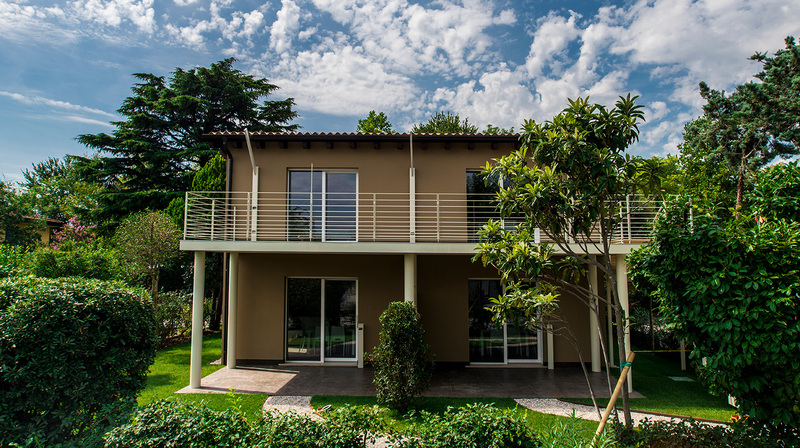 It boasts an enchanting position directly overlooking the magnificent Lake Garda, in the romantic village of Manerba, west coast in the province of Brescia. 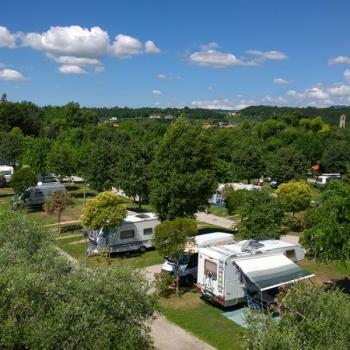 Immersed in the unspoiled nature that characterizes the hills of Valtenesi, it offers equipped pitches, mobile homes of various types and exclusive apartments. 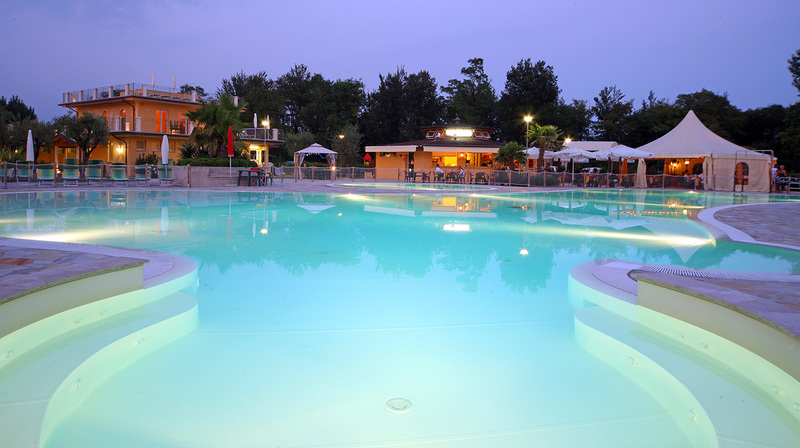 The facilities are modern and equipped with all comforts, they are the ideal choice for holidays with family and children thanks to the excellent services tailored for all ages, from swimming pools and playground until the professional animation. Particular attention to nature and the protection of the territory, we offer green eco-sustainable holidays to enhance even better the paradise where we are. 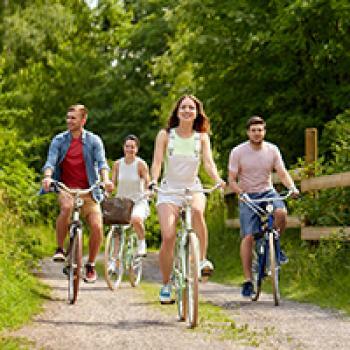 In the periods from 13.04.2019 to 06.07.2019 and from 07.09.2019 to 05.10.2019 Camping Baia Verde gives you 1 day stay for stays of at least 7 nights. 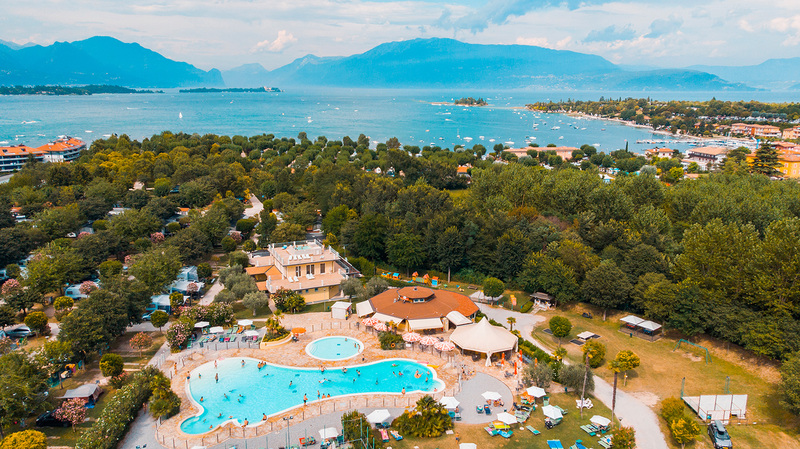 Convention in the periods from 13.04.2019 to 30.06.2019 and from 01.09.2019 to 05.10.2019 daily price in promotion of Euro 20.00 for Comfort or Natural Green pitch, 2 adults and 1 dog (excluding tourist tax, not cumulative with other offers). By booking your E-Bike or City-Bike in advance, we offer you a 10% discount on the daily rental price (from mid-May to mid-September). 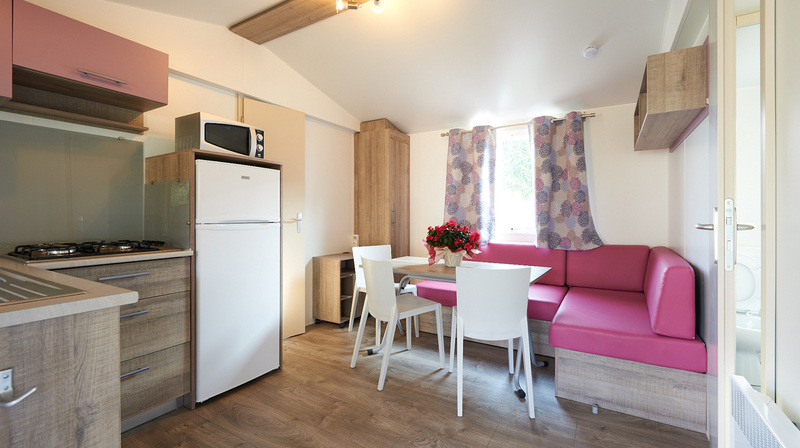 THE VILLAGE Baia Verde offers you seven types of mobile homes, comfortable and equipped with every comfort and service, they have one or two private bathrooms and covered veranda. These facilities can accommodate up to 5/6 people. 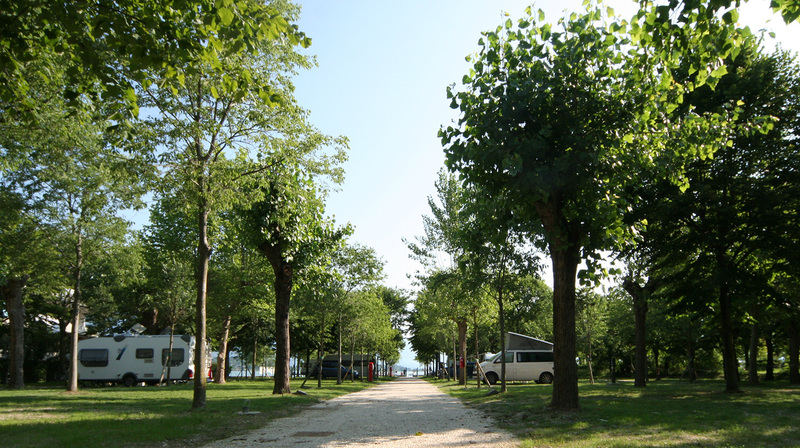 THE CAMPING Immersed in the park of Baia Verde, we offer pitches equipped for tents, campers or caravans, all arranged on grassy ground and shaded by typical vegetation, with connection to electricity, water and drainage and other services, depending the type of facility. 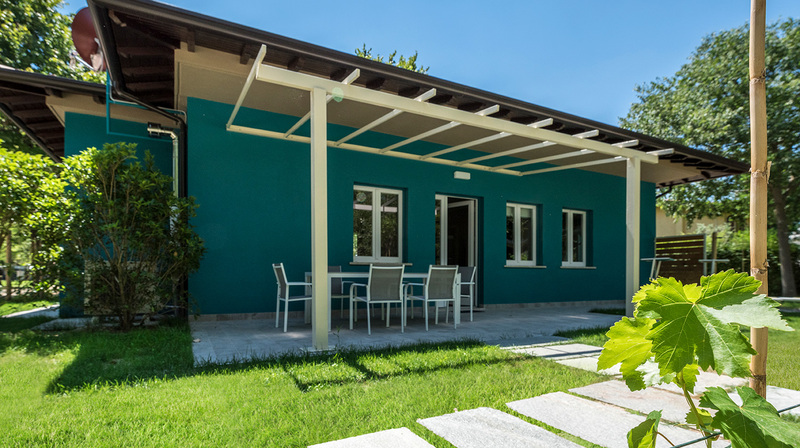 THE APARTMENTS Baia Verde also offers holiday apartments, two 3-room apartments and one 4-room apartment in the eco-residence Baia dei Fiori, a building certified PassivHaus and CasaClima and a single villa Fior di Sole. SPECIAL FOR FAMILIES Our holiday proposal is family-friendly, fun is also guaranteed for children. Here you will find a swimming pool with a safe area, a playground, a multipurpose sports field and professional animation.